Our Asian Poker Tour satellites are back in action, and if you missed your shot at winning the seats given away during the Satellites to Seoul promo, now’s your chance. This time we will be giving away a total of 5 expense paid packages to Ho Chi Minh City, where the next APT stop is held. Our previous satellite winners had a great time in Seoul, and we hope to see new or familiar CoinPoker faces at this next epic event. 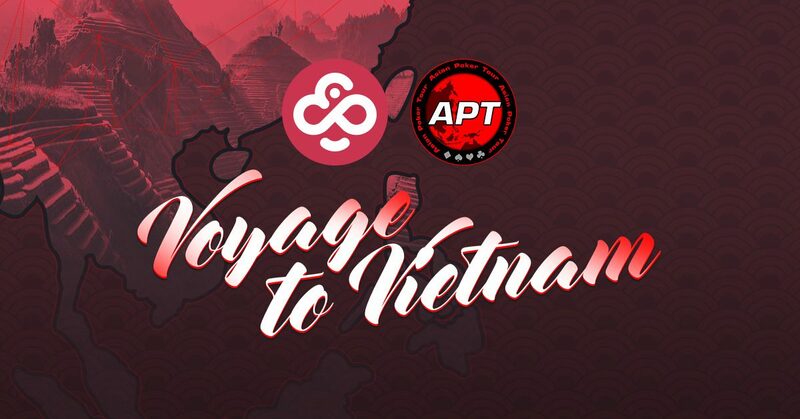 Pro Poker Club will be hosting this stop’s APT Championship Event on July 19, and Voyage to Vietnam package winners will be treated with 3 nights accommodation and travel expenses covered by CoinPoker. Click here more details on what the packages include and the full tournament schedule. These satellites will take place alongside our To The Moon tournaments, and you can participate in a daily satellites to play for packages at a fraction of cost, or skip these and join the main qualifier on the 11th of July at 17:00 EEST for a steeper buy in of 5,000 CHP. We wish you the best of luck at the tables, and for more talk and updates on the upcoming satellites make sure you keep an eye on our official Telegram channel where our community discussion is always lively. Next Post [FAQ] What Are CHP Tokens and Do I Need Them to Play?